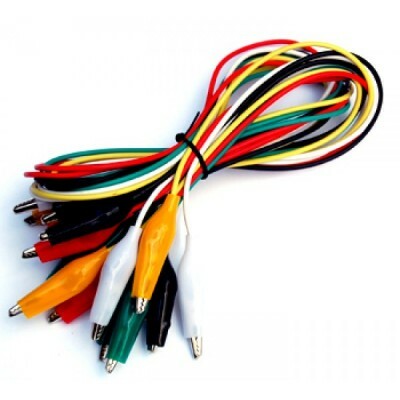 These are standard alligator to alligator (crocodile) clip test cables. The alligator clip allow you attach the test point without hold the cables which is really handy. The clip is strong and grippy. 10 piece set, Color Coding may vary. 22 gauge heavy insulation copper wire. Alligator clips at both ends.